Even before Barton’s election there were signs that due to McKinsey’s growing size, the firm was fragmenting and loosing its lustre. Barton assumed the helm at McKinsey shortly before the fallout of Rajat Gupta’s trial viciously assaulted the firm’s carefully curated psyche. Despite the severity of the event, many choose to dismiss the impact of the Gupta scandal on McKinsey because they only examine the event through the financially myopic lenses of client retention and billings. That is the wrong perspective to take. McKinsey may still look and act the same, but they have been changed by the event. This is the perspective worth examining. Just as an assault victim who changes inside may look the same, act the same, and even project the same sense of bravado after the incident, McKinsey is a different firm. The event shook the firm at its core and its definition of normalcy was changed. Make no mistake, McKinsey was assaulted by the one person it trusted the most, its worldwide managing director. Barton set out to ensure it never happened again. He forcefully responded to preserve McKinsey’s culture by adding teeth and visibility to the disciplinary process. Sadly, the decline of McKinsey has accelerated under Barton. Therefore, we must ask, has Barton’s seemingly credible actions to protect McKinsey catalyzed the descent of the firm? What does it say about McKinsey, and especially Barton’s interpretation of McKinsey’s values, that he needs to publicly castigate his European partners in the New York Times to accelerate a behavior change? Irrespective of his intentions, it seems Barton is more concerned with courting public opinion than preserving healthy debate among the partners, a hallmark of any strong partnership. When a partner does not agree with him why does Barton believe it is acceptable to selectively trample the very same McKinsey values he purports to protect? The public flogging of a partner’s reputation erodes the firm’s reputation, since the firm’s reputation is built on each partners’ reputation. Moreover, his actions have not ended the healthy debate; they have simply driven it underground, where like a peat fire it will continue to smolder and choke the culture. It is incredible that Barton did not understand the consequences of the precedent he set by airing disputes in the media. Despite the disarmingly dapper squared-pocketed charm offensive Barton wages over the media to convince us of a reborn McKinsey, three major initiatives under his tenure smack of a firm talking about values, yet willfully investing behind unhealthy growth. First, the Recovery & Transformation Services practice was built by hiring directors from turnaround specialists. Ignoring the legal acrimony this created by hiring senior people who have not been schooled in the value system of the firm, why did McKinsey believe it was more important to secure revenue from turnaround work than preserving said value system? Moreover, why has McKinsey chosen to use different titles, like vice-president, simply to entice external hires concerned about joining under the apparently less than appealing associate title? Second, McKinsey prides itself on its global firm model. A McKinsey associate is supposedly a McKinsey associate worldwide just as a McKinsey director allegedly meets the global standard for partnership. What does it say about the meaning of the partnership when the US directors routinely re-interview associates from foreign offices, who are seeking office transfers, and decline them? As Barton himself said, “If we don’t trust a partner, they shouldn’t become or remain a partner.” Does this mean all the partners hiring associates in Europe and the Middle East who do not meet the standards of the US directors are soon going to be dismissed? Or are they just going to be sidelined? Barton’s approach offers some evidence they are inadvertently being sidelined. It is comically tragic that US-bred solutions are being used to fix the Gupta and Kumar scandals, which were invariably caused by US-educated partners, living in the US, who adopted the US culture, served on US boards and assisted mainly US clients. In other words, the very same US offices that spawned the problems and could not eradicate this cultural toxicity are now conducting the ad-hoc reviews, generating the rules to police themselves, and imposing those rules on untarnished non-US McKinsey offices. How is that good governance? Moreover, when did the US become the de-facto head-office for McKinsey to set the rules? Crucially, why are the German partners, who for the last 20 years have been the standard bearers for McKinsey culture worldwide, allowing this? More than any other region, German partners have singularly nurtured McKinsey’s values worldwide, by setting up and leading many foreign offices, and can eloquently represent the best of the firm. Therefore, we posit that it is incorrect for Barton to chastise the European partners, since the European partners probably speak more credibly on behalf of McKinsey culture worldwide than most other regions. Third, the McKinsey Implementation Group is a bold experiment in hiring a different skill-set, paying them a lower salary and asking them to do work which does not reinforce McKinsey’s strengths, but scoops up revenue McKinsey traditionally lost. Like the Recovery & Transformation practice, the Implementation Group is expected to thrive and grow. What is the end game should McKinsey generate 30% of its business from implementation work? Either McKinsey brings every consultant to parity on titles, salaries and skills or the firm remains a combination of very different practices. Imagine the animosity and resentment that occurs when different parts of the business are seen as more valuable, through their salaries, and more prestigious, through their fee structure and client relationships? McKinsey is no longer a global firm when directors do not trust other directors’ hiring decisions, when titles and salaries differ, when training varies, and when revenue is more important than promoting people from within and preserving the firm’s culture. McKinsey is in that position right now. Enhanced disciplinary processes are not a substitute for grooming from within and taking actions that emphasize quality over growth. If McKinsey’s values are truly the source of its strength, there is no excuse for taking actions diluting that strength. Barton’s social media surge evangelizing a born-again McKinsey is at best a worrying diversionary tactic. If applicants, alums and clients are not deserting in droves, and they are not, why bother investing in such a heavy external communications strategy? Every minute spent preaching to the converted is a minute not spent fixing the internal issues. There are two worrying reasons why Barton is using such a media-heavy strategy. First, it is frighteningly possible that communicating the severity of the situation through the usual channels is just not working. McKinsey has become so large and ungainly that the only way to convey the gravity of a situation, to consultants, is through the use of external media like the New York Times. These external publications add a veneer of credibility to the firm’s threat of reprimanding poor behavior. At least, we hope the New York Times fact-checked the alleged remedies being administered at McKinsey. Second, Barton may have simply given up any pretense of using values to guide employees. He may have realized that the fear of harsher disciplinary action is the only way to keep employees in line. If police-state tactics are needed to manage a large firm, then the solution is not a better police force; the solution is a smaller firm that does not require such a heavy-handed tactics. Moreover, if the actions of employees are no longer primarily driven by values, but by a fear of disciplinary action, is McKinsey still a values-based firm? Either McKinsey’s values are pulling consultants onto the right path or consultants have broken free of its influence and need to be shepherded by the fear of reprisal. And why are the values not a sufficiently strong guide by themselves? Well, there is fairly simple to answer this. If McKinsey continues hiring people to bolster growth, selectively chooses when to adhere to its values and places the siren call of revenue above its culture, then it will end up being a collection of highly educated financial mercenaries who only care about money. Those people only fear, and quite possibly only understand, financial penalties and extreme punitive measures like being publicly reprimanded. In a values-based firm the only penalty that should matter is tarnishing one’s good name. The ambitions of McKinsey should not lead its consultants where its values can no longer guide them. It really does not matter what image Barton chooses to slavishly project. If the cultural core is eroding, it is only a matter of time before the façade cracks. McKinsey was a great firm and these mistakes can be fixed. 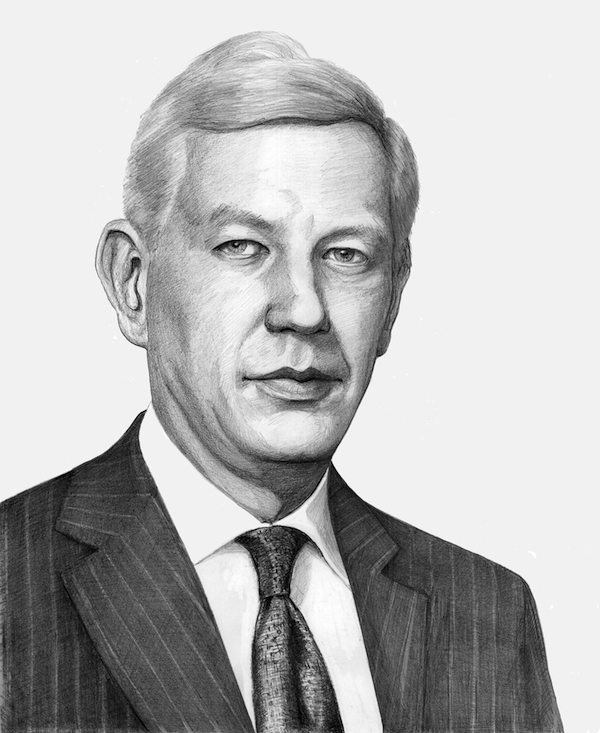 We like Dominic Barton and wish to see him succeed. Good leadership is about taking calculated risks and experimenting. He is doing that and he deserves some credit. However, he should continue to do this on the analyses-side and less so on the culture side. We hope he is the kind of leader who sees the error of his way and reverses course before it is too late. That said, McKinsey’s problems are not purely values-based, as they would like to think. They are stagnating in their core intellectual abilities. When was the last time McKinsey did something distinctively innovative in management? You will need to go all the way back to 1990, four years before we first met Rachel, Ross, Chandler, Monica, Phoebe and Joey, to the launch of the McKinsey Global Institute (MGI) to see something truly different. At a time when the Berlin Wall collapsed, China began to change and South Africa began opening up, business executives were confounded by rapid geo-political shifts and wanted to understand how global issues impacted business performance. MGI merged disciplined macro-economic analyses with detailed bottom-up consulting analyses to produce a viewpoint that had never existed before. MGI challenged BCG’s strength in micro-economic analyses by offering a different view of the economic actors in a decision. It was fresh, useful and polarizing. It is easy to assume that all the great research, brilliant op-eds and a deluge of HBR articles McKinsey produced since the 1990s implies they are just as innovative. Make no mistake – they are not. They are simply analyzing new issues by applying the same techniques they have had since 1990. In other words, they increasing coverage of the issues they analyze. To put this in perspective, imagine a healthcare company issuing a self-congratulatory note on the following premise: It has not made any changes to a brain scanning technology introduced in 1990, but it should be praised for distributing the technology to new markets. In other words, the supposedly great progress made is that in 1990 it was analyzing European craniums but now it is analyzing African, Asian and Latin American cerebral patterns. That stock will collapse very quickly in a sector dominated by the need for new ideas. Management consulting is no different. Increased market coverage using an old technology/idea can only be rewarded up to a certain point. Beyond that point, if the underlying technique being applied has not been improved, a company is simply shifting around Soviet-era equipment. We think a 24 year cerebral resting period, no pun intended, would indicate that point has been reached for McKinsey. After all, the principles of the MGI analyses have not changed. McKinsey is just shifting around old thinking to new markets and sectors. Some would herald their much-read analyses on social media as a sign of McKinsey’s intellectual vibrancy. We should rather herald Mark Zuckerberg for giving them a reason to dust off their tired old techniques to be draped over a dashing new sector. McKinsey needs something big. They know that. So far, attempts like McKinsey Solutions etc. are far from revolutionary. If you distill that effort down from the gratuitous marketing in the Harvard Business Review, it is just another channel to deliver McKinsey data garnered from dated techniques. Just as watching old Laurel and Hardy movies on Netflix does not make the skits any more interesting, old techniques with old data does not get more appealing when delivered online. At best, this adds some incremental value to clients. Yet, despite McKinsey’s best efforts to make this idea seem revolutionary, clients will not think so. McKinsey should spend more time thinking about the questions it wants to answer for clients and the way it intends answering them. That is where it can differentiate itself. It is sobering to think that some of Barton’s biggest initiatives like the implementation group and turnaround practice etc. are really an effort to play catch-up to Deloitte, IBM, PwC, Alix Partners etc. McKinsey may trumpet these changes as progress, McKinsey may announce them in the Harvard Business Review under the luminous glow of Clayton Christensen, and McKinsey may very well package the effort better than most others, but ask yourself this, since when is progress defined as copying a competitor? Will the tenure of Barton be one where a bloated and fragmented McKinsey crawls to parity with competitors? We hope this is not his end game. Thanks for those who post me comments on this op-ed. It is best to submit them here so we can comment in a way that is beneficial to all readers. That does indeed sum up the challenge he faces, and is struggling to manage. Hopefully, the Firmsconsulting mentored clients can bring a tougher stance on an adherence to values and professionalism. We remain confident they can do what is required to right the firm since some of our earliest clients are now on the threshold of becoming principals. If the aim of Dominic Barton is to build the world biggest management consulting firm probably this is the way. Actually it is so large already today in comparison to the firm’s size when Marvin Bower set its value system that it is a miracle its core values have been preserved to a fair extent. I don’t know any other multinational firm at this size maintaining such a strong one-global-firm culture. You are most welcome. I would watch our announcements closely over the next two months since we have dedicated the next 2 to 3 months to rankings and will have more information coming out. You are correct on one point though. We are not ranking firms where we have to rely too much on self-reported data from the firm. That just leads to excessive manipulation of the results. Thank you for researching and writing about this topic Michael; I found this installment very insightful, and look forward to the rest of the series. I would also be interested in getting your perspective on the current state of AT Kearney and its CEO. Obviously, it would be too time consuming to survey and examine every consulting firm, and so I understand why you limited your scope to the 6 listed above. I just remember that you have written very positively about ATK in the past (on the old version of this site), and I was curious as to how your impression of them has evolved over the past several years.